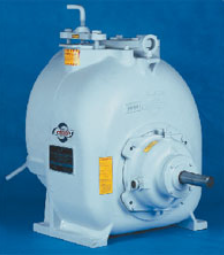 Many industrial pump manufacturers, such as Gorman-Rupp, Warman and ESCO Pumps, typically offer their high and/or low pressure centrifugal pumps in direct drive or v-belt driver configurations. Fluid professionals often prefer slurry pump, chemical pump or abrasive pump equipment, which features a v-belt driver, in their fluid handling operations that process abrasive, corrosive or solid laden fluids because the equipment offers a range of advantages over direct drive pumps. Some of these advantages include lower operating temperature requirements, better vibration absorption and longer pump life. Organizations can save money by replacing their current components with Phantom Pumps compatible, high-quality centrifugal variable speed pumps rather than the higher price v-belt driven equipment from well-respected manufacturers in the industry. Pumps manufactured by Phantom Pumps are ideal substitutes for ESCO Pumps models that are often used on abrasive pump applications such as mining, sewage treatment and chemical processing. Our PL Series self-priming pumps are interchangeable with ESCO PUMPS v-belt driver LP3 and other L Series models as well as with many with Gorman-Rupp T Series pumps and All Prime S3 Series pumps. Phantom Pumps offers pump selection assistance through our team of engineers, and we provide cross-reference materials, user manuals, technical data and free quotes to processors in Florida, Mississippi, New Hampshire, Tennessee, Texas and elsewhere throughout the USA who are looking to replace broken or worn abrasive pump equipment that features a v-belt driver. Contact a pump expert at Phantom Pumps today for more information on our v-belt equipment, variable speed pumps or other components.